TerrainTools is dedicated to analyzing and editing 3D ground models. With TerrainTools, you can calculate volumes and profiles, subtract DEMs, and extract DTM from surface models. CAD environment with all the basic features is also integrated into the workspace. TerrainTools is ready to import data produced by both APS and third party software. It supports Windows Seven / 8 operating system. 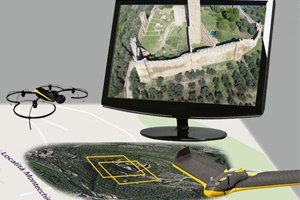 TerrainTools is part of APS suite, the set of software dedicated to process drone dataset and get cartographic data such as DSM, DTM, 3D point cloud, contour lines and orthomosaics.